commercial property. 24/7 and 365 days a year. At Montrose Glass, we understand that a broken window at your commercial property can cause major inconveniences to your business. That’s why we provide a 24/7 commercial glass replacement service every day of the year. All the work that we complete for your business is guaranteed, and the materials we use are police and insurance approved. We only advertise in areas where we can respond within 30-90 minutes, to ensure that your commercial glass replacement is handled as quickly as possible. Whether you’re searching for an emergency Glaziers London residents can rely on or window repairs Essex based. What Type Of Commercial Glass Replacement Do We Offer? We specialise in providing all types of glazing replacement to enable businesses to continue trading and get back to normal as quickly as possible. 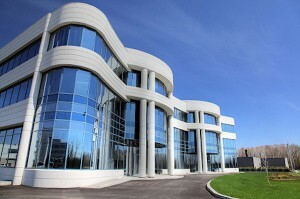 Below is a list of the most common types of commercial glazing we offer. At Montrose Glass, we understand that in retail – first impressions are everything. We aim to help you ensure that your storefront makes the best first impression on your customers. We provide glazing for storefronts throughout the country to get you back to trading as quickly as possible. For shop fronts and door panels, we can fit your property with a glazing of 6.4mm to 11.5mm and upwards, as required. We provide every type of toughened glass ranging 6mm – 19mm and if required, upwards of these measurements. The toughened glass can be installed for frameless glass doors, balustrades and more. This installation can be provided with fast processing notches and cut-outs also. You can also receive emergency replacements of metal casement windows, putty hack outs, and spring-loaded sashes. Need emergency commercial glass replacement for your office? Whether toughened or laminated, we can help you with the partitions in your office regardless of type. We know how frustrating it can be to suddenly find your business in need of emergency glass replacement. That’s why we also supply emergency boarding for many different purposes, and this includes temporary doors too. If you need to replace fire-rated glass, at Montrose Glass we can also provide all kinds of fire rated glass replacement. For a 30-minute fire rating, we can provide Georgian wired polished plates and Georgian wired glass. For ratings of 1 to 3 hours, you can get a transparent wireless fire rated glass of various thickness. – Glass bends for laminates. – Glass bends for annealed glass. – Polycarbonates ranging from 4mm and up, this includes brand names such as Makrolon and Lexan. We can either supply these or fit them. – Roof/ height work and roof glazing. – Oversized double-glazed units with specialist makeups (see also double-glazing section). Specialist glazing, including oversized glazing units. – Contracts and hack outs. Here at Montrose Glass, we have over 20 years of experience providing commercial glass replacement to businesses like yours. We’re a member of the Guild of Master Craftsmen and take pride in offering high quality, reliable service for every project we undertake. This is demonstrated in the excellent customer reviews we receive daily and the reputation we have built over the past 20 years. If you’re looking for a reliable, guaranteed emergency commercial glass replacement, give our team a call on 0333 920 5404 or contact us online. We usually get all businesses back to normal on the same or next day. At Montrose Glass, we believe that first impressions are extremely important. We aim to make the best first impressions with each of our clients and we aim to help all of our commercial clients to make the best first impressions with their customers. We provide shopfront glazing across the UK with extremely fast turnarounds and no fuss to ensure that you can continue trading without any long disruptions. If you are on this page because you are looking for a company offering the very best in shopfront glazing then give Montrose Glass a call today.